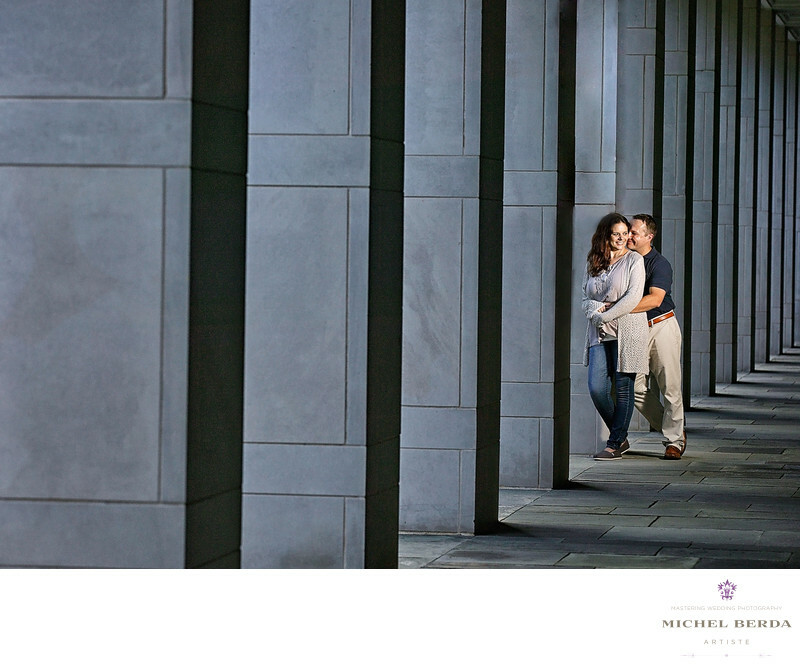 Light, negative space, the engagement couple, using the perfect strobe also known as the flash to create that warm wow factor. So many wedding photographers are known for the camera creating great images in natural light. That is okay, however not with me, I strive and want to make a compelling image. While it takes way more time, lots of equipment, calculation of light ratios versus daylight and some math, this is what makes my engagement photography and wedding photography unique and different. My clients expect nothing less from me they want that wow factor. Here in Charleston, SC we have so many opportunities to have such a variation of gorgeous buildings. Now the rest is up that photographer and why this engagement image is in its class of its own.Keywords: Charleston (1179), charleston engagement engagement photography (15), couple engagement (15), couples engagement (15), couples engagement photography charleston sc (15), engagement charleston sc (18), engagement in charleston sc (15), engagement in our holy city (15), engagement photography charleston sc (30), engagement waterfront park engagement (15), king street photo engagement photography (15), king street photo weddings (219), Michel Berda (1140), photographer (1125), photography engagement (15), Wedding Photographer (1254).